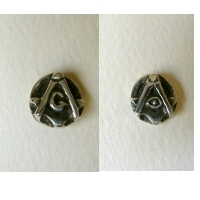 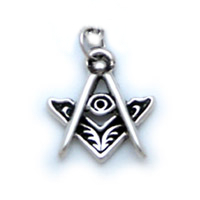 With the All-Seeing Eye as a symbol of God, - and an "industrial weight" Square and Compass - The three pillars of Masonry emblematically represented by the three dots on the square, and the 5 points of fellowship indicated by small dots on the back - These pendants have been sent to Brothers all over the United States and around the world - from the United Kingdom to New Zealand. 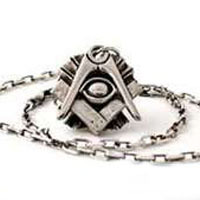 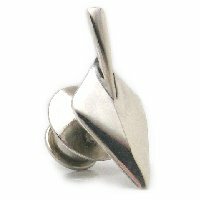 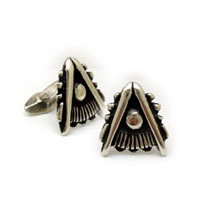 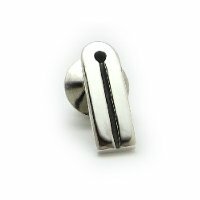 An original design, styled to the early operative days of Masonry, before the first grand lodge was established in 1717, and jewelry was cast in blacksmith shops by self trained metal smiths. 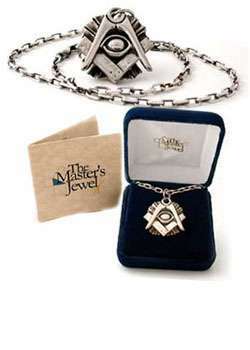 The Original Mason's Jewel is 1 1/8" wide and tall, and each set comes with a 20" 3.5mm Diamond-Cut, "antiqued" Sterling Silver curb chain, packaged in a genuine blue velvet gift box.